The TV show the gifted is doing a great job of showcasing some of Marvel’s lesser known heroes. One such hero was Clarice Ferguson. Part of the Phalanx storyline, Clarice was the mutant known as Blink. Was as in past tense because her character was later killed off at the end of the story. 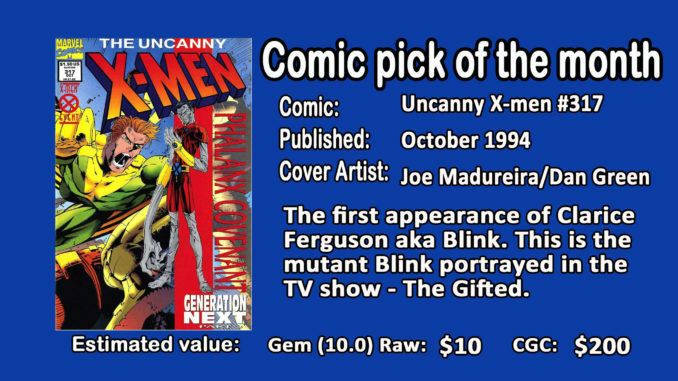 This is part of the reason why most people have never heard of the mutant known as Blink. A modern day issue, this comic came in two formats – a regular comic edition and a silver foil cover edition. Hicollector recommends picking up this comic at 9.0 or better.